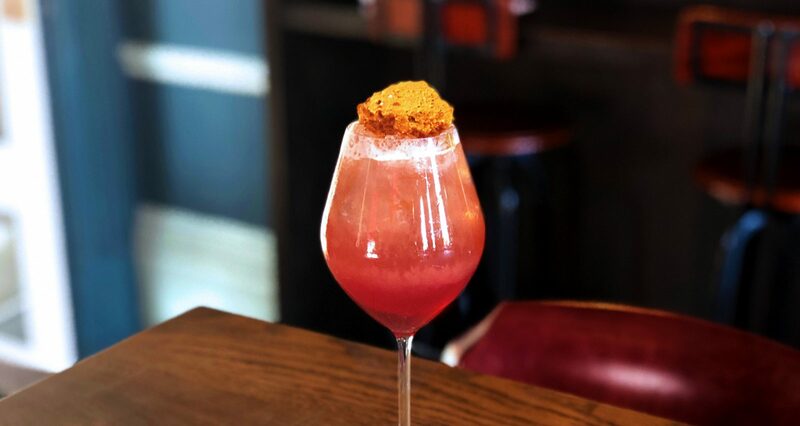 Bartender Caitlin Goddard’s Ginger Monkey put a lighter spin on Monkey Shoulder whisky, with Chambord and ginger ale. Perfect for summer sipping, it finishes with a sweet treat: honeycomb made by our pastry team. You’ll need: a Boston shaker, a muddler, a Hawthorne strainer, a fine strainer and a wine glass.